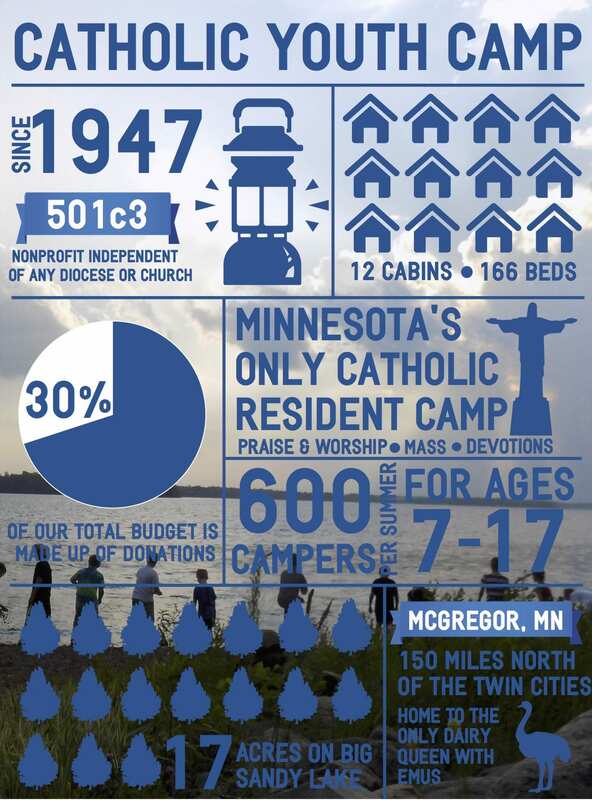 Since 1947, Catholic Youth Camp has been providing faith-based traditional camp programming for youth 7-17 years old. Campers live in cabins divided by age and gender for week-long camp sessions. Campers enjoy activities like archery, swimming, canoeing, arts and crafts, camp fires, and group games. Campers start and end each day with all camp chapel, and weekly Mass is celebrated as a community. Campers of all faith backgrounds are welcome. The mission of CYC is to provide a quality Catholic camping experience in an inclusive atmosphere of friendship, community and prayer. The Catholic Youth Camp experience compliments the work of schools and parishes by helping children grow in faith, building lifelong Catholics. Our community allows each camper to experience a sense of belonging while our intentional program teaches life and social skills, and children go home more confident in themselves and in their faith. In 1947, Father Jack founded Catholic Youth Camp to help young people achieve a healthy respect for and love of Catholic values. He encouraged an appreciation for God’s great outdoors and embraced the theme of the North American Martyrs with a focus on the virtues of Courage, Community, Cooperation, Charity and Christ.